Catherine, a young woman from Moldova, answers an appealing ad that calls for work overseas. She receives a plane ticket and arrives in Tel Aviv, Israel, without the slightest notion about the cruelty that awaits her. 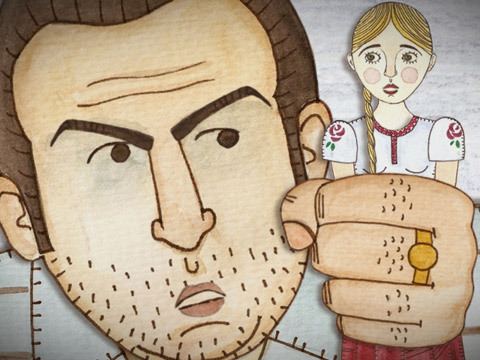 A personal account of human trafficking in Israel, Catherine the Great possesses a unique style of animation, lending additional power to this story. Anna Kuntsman lives in Tel Aviv. Anna is an independent designer and creator. She has been drawing and painting since childhood, and has a degree in visual communications from the Holon Institute of Technology, Israel. She is currently a motion graphics designer and illustrator. Catherine the Great is her debut film.